Élie Ducommun (February 19, 1833 – December 7, 1906) was a Swiss journalist and peace activist. 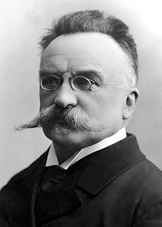 He was a winner of the 1902 Nobel Peace Prize, which he shared with Charles Albert Gobat. Born in Geneva, he worked as a tutor, language teacher, journalist, and editor, as well as a translator for the Swiss federal Chancellery (1869-1873). In 1867 he helped to found the Ligue de la paix et de la liberté (League for Peace and Liberty), though he continued working at other positions, including secretary for the Jura-Simplon Steel Company from 1873 to 1891. That year, he was appointed director of the newly formed Bureau international de la paix (International Peace Office), the first non-governmental international peace organization, based in Bern. He refused to accept a salary for the position, stating that he wished to serve in this capacity solely for reasons of idealism. His keen organizational skills ensured the group's success. He was awarded in the Nobel Peace Prize in 1902, and served as director of the organization until his death in 1906. 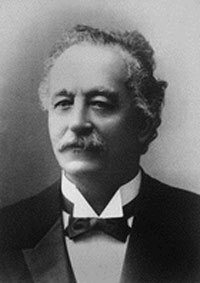 Charles Albert Gobat (May 21, 1843 – March 16, 1914) was a Swiss lawyer, educational administrator, and politician who jointly received the Nobel Peace Prize with Élie Ducommun in 1902 for their leadership of the Permanent International Peace Bureau.